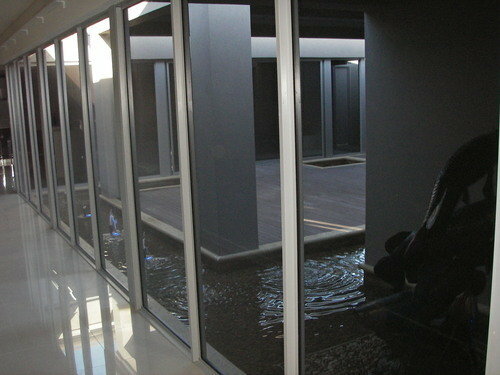 For the best building inspections in Perth you need look no further than Affordable Building Inspections. At Affordable Building Inspections, a division of Housing Industry Building Consultants Pty Ltd, we carry out building inspections in most suburbs both North and South of the river including Mandurah and surrounding areas. Our comprehensive service includes Pre-Purchase Inspections established single and two-storey homes, inspections of homes under construction or recently completed commercial properties, we even arrange termite and pest inspections. Our company is registered with the Building Commission of Western Australia and has held Registration Number 11090 for many years. All building and property Inspections are carried out personally by our Senior Inspector who is also registered with the Building Commission and with over 28 years’ experience in the building industry, he is well experienced to assist you with expert advice in all areas of building. This experience is the reason that our reports are longer because we find what the others miss. Since our inception in February 1997 we have conducted thousands of building and property inspections of both residential and commercial properties, identifying structural, non-structural and maintenance related items of concern. All reports are typed and worded in layperson terms to ensure that each and every item identified is easily understood by all persons who read the report, particularly helpful to those persons who are not familiar with technical buildings terms. Our goal is to provide you, the homebuyer, with a professional affordable building and property inspection service, and through our Facebook page, our weekly posts keep homeowners updated with timely reminders regarding maintenance of properties, general information and safety related matters. We provide quality building inspection services to all Perth suburbs including Alexander Heights, Alfred Cove, Applecross, Ardross, Armadale, Ascot, Ashfield, Attadale, Atwell, Balcatta, Balga, Ballajura, Bassendean, Bateman, Bayswater, Beaconsfield, Beckenham, Bedford, Bedfordale, Beechboro, Beechina, Beeliar, Beldon, Bellevue, Belmont, Bentley, Bertram, Bibra Lake, Bickley, Bicton, Booragoon, Boya, Brentwood, Brigadoon, Brookdale, Bull Creek, Bullsbrook, Burswood, Butler, Byford, Calista, Canning Vale, Cannington, Cardup, Carine, Carlisle, Carmel, Carramar, Casaurina, Caversham, Champion Lakes, Churchlands, City Beach, Claremont, Clarkson, Cloverdale, Como, Connolly, Coogee, Coolbellup, Coolbinia, Cooloongup, Cottesloe, Craigie, Crawley, Currambine, Daglish, Dalkeith, Darch, Darling Downs, Darlington, Dianella, Doubleview, Duncraig, East Cannington, East Fremantle, East Perth, East Victoria Park, Eden Hill, Edgewater, Ellenbrook, Embleton, Ferndale, Floreat, Forrestdale, Forrestfield, Fremantle, Girrawheen, Glen Forrest, Glendalough, Gooseberry Hill, Gosnells, Greenmount, Greenwood, Guildford, Gwelup, Hamersley, Hamilton Hill, Hazelmere, Heathridge, Helena Valley, Henley Brook, High Wycombe, Highgate, Hillarys, Hillman, Hilton, Hocking, Hovea, Huntingdale, Iluka, Inglewood, Innaloo, Jandakot, Jolimont, Joondalup, Joondanna, , Kalamunda, Kallaroo, Karawara, Kardinya, Karrinyup, Kelmscott, Kensington, Kenwick, Kewdale, Kiara, Kingsley, Kinross, Koondoola, Koongamia, Landsdale, Langford, Lathlain, Leda, Leederville, Leeming, Lesmurdie, Lockridge, Lynwood, Maddington, Madeley, Mahogany Creek, Maida Vale, Manning, Marangaroo, Mariginup, Marmion, Martin, Maylands, Medina, Melville, Menora, Merriwa, Middle Swan, Midland, Midvale, Millendon, Mindarie, Mirrabooka, Morley, Mosman Park, Mount Claremont, Mount Hawthorn, Mount Lawley, Mount Nasura, Mount Pleasant, Mt Helena, Mt Richon, Mullaloo, Mundaring, Mundijong, Munster, Murdoch, Myaree, Nedlands, Neerabup, Nollamara, Noranda, North Beach, North Fremantle, North Lake, North Perth, Northbridge, Oakford, Ocean Reef, Oldsbury, Orelia, Osborne Park, Padbury, Palmyra, Parkwood, Parmelia, Pearsall, Peppermint Grove, Perth, Pickering Brook, Piesse Brook, Port Kennedy, Queens Park, Quinns Rocks, Redcliffe, Ridgewood, Riverton, Rivervale, Rockingham, Roleystone, Rossmoyne, Safety Bay, Salter Point, Samson, Scarborough, Secret Harbour, Seville Grove, Shelley, Shenton Park, Shoalwater, Sinagra, Singleton, Sorrento, South Fremantle, South Guildford, South Lake, South Perth, Southern River, Spearwood, St James, Stirling, Straffon, Subiaco, Success, Swan View, Swanbourne, Tapping, The Vines, Thornlie, Trigg, Tuart Hill, Two Rocks, Upper Swan, Victoria Park, Viveash, Waikiki, Walliston, Wandi, Wanneroo, Warnbro, Warwick, Waterford, Watermans Bay, Wattle Grove, Wattleup, Wellard, Wembley, Wembley Downs, West Leederville, West Perth, West Swan, Westfield, Westminster, Wexcombe, White Gum Valley, Willagee, Willetton, Wilson, Winthrop, Woodbridge, Woodlands, Woodvale, Yanchep, Yangebup and Yokine.